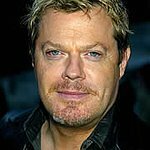 Whimsical comedian Eddie Izzard this week began a journey through Africa with UNICEF to raise awareness and funds for the charity. He has been tweeting and blogging his progress and has been both shocked by the poverty and encouraged by the progress of the country. His tweets have shown both carcasses of parched cattle and the more encouraging sight of locals enjoying a ‘water-truck filling station’. Whilst on the trip, Eddie will be filming his travels to show people just what life is like. To see photos of the trip, and for regular updates, check out Eddie on Twitter. According to UNICEF, almost 85% of urban Kenyans are now using improved drinking water services and 93% of young people (aged 15 to 23) are literate, but there is a long way to go. The infant mortality rate is 55% and 57% of teenage girls believe that a man is justified in beating or abusing his wife under certain circumstances. UNICEF aims to ‘build a world where every child’s rights are met’ and Izzard’s trip will help highlight the need for aid as well as providing a real-life account of what is going on out there; seeing pictures on the news is a whole lot easier to ignore than up-to-the minute accounts and pictures of what life is like for impoverished Africans.